I would like to think that someone at British Gas has read my article and thought it was a brilliant idea to have a boiler that could alert the home owner and the maintenance company about a potential fault, but according the news British Gas has been working on the solution for almost two years. “We know from two years trailing this product just how important it is for our customers to be in control and have peace of mind that their home will stay warm, safe and working”, said Matthew Bateman, managing director of residential services at British Gas. The new smart boiler is called Boiler IQ, and according to British Gas it has the ability to predict any potential breakdown. Tests done by British Gas in over 700 customers homes showed that the Boiler IQ solution was able to detect 19-24 hours in advance of breakdown happening. British Gas has over 16 million UK homes as customers across the UK, last year its fleet of over 8,000 engineers visited approximately 50,000 homes a day on average. 9/10 of those customers are on the HomeCare insurance plan (for boiler, heating, electric and plumbing), which means their problem gets fix the same day if customers report the issue before 12:00pm. 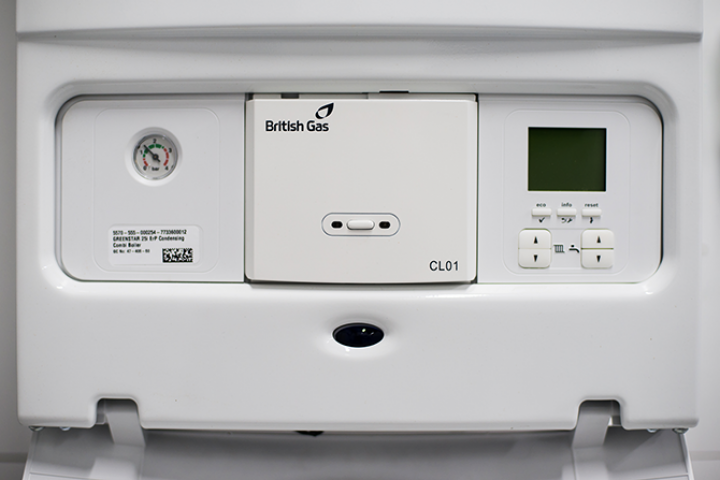 “Boiler IQ is a hugely exciting innovation, helping British Gas to stand apart in the home services market, and offering unrivalled benefits to our HomeCare customers,” said Bateman. Looking at the number of customers British Gas has to serve you can see the potential benefits of having a smart boiler service. First this solution has the potential to reduce the time and number of customer who has to go without hot water and heating. According to British Gas, over the last five years 56 percent of UK household has to go at least a day without hot water because of problem with their boiler. British Gas could be unto a good thing here because research done by them found that more than three quarters of people say they would find a smart boiler service that spots faults and alerts them by text before they’ve noticed the issue helpful and Boiler IQ does just that. As well as acting as an early warning system, Boiler IQ has also been designed to run over 50 different diagnostics, which will be able to tell engineers specifically which parts of the boiler needs repairing or replacing. This means engineers will know exactly which tools to bring to the job in order to prevent repeat visits. BoilerIQ will be available from next week, first to British Gas HomeCare customers with an eligible Worcester Bosch boiler. The boiler can also communicate wirelessly with the Hive Hub that controls British Gas’s Hive smart thermostat, plugs and other things in the Hive range.